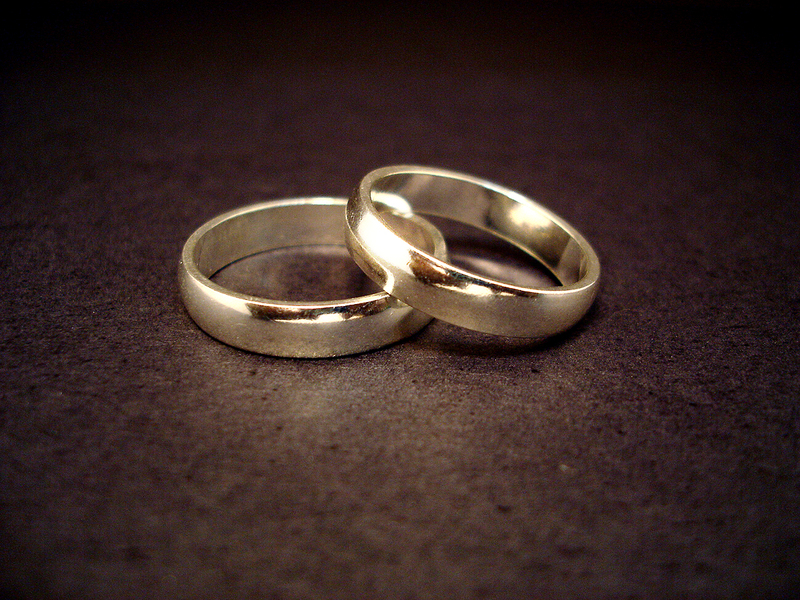 The Psychology of Marriage: Choice or Arranged? I love free samples. 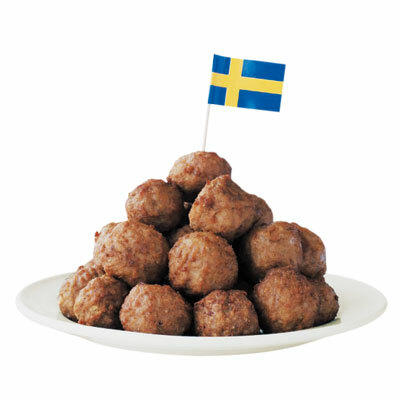 IKEA’s Swedish meatballs might be my favorite. They are delicious and put me in a furniture-buying mood. Sometimes, however, choosing between all those yummy samples is hard, and I’m not alone. In a study done several years ago researchers set up a jam tasting counter at a grocery store to see how sample size affects consumer behavior. There were two groups: one that chose between 24 or 30 different jams and the other that chose from six. Though our intuitions and economic theory perpetuate the idea that the more options we have the better we will be, researchers found just the opposite. The group given 24 or 30 options was less likely to purchase a jam and reported being less satisfied with their choices. The more choices there are, the more you expect to find a perfect fit; yet, at the same time, the larger the array, the less likely it becomes that you picked the best item. You leave the store less confident in your choice, more likely to feel regret, and more likely to think about the options you didn’t choose. The question is: does the paradox of choice hold true for romantic relationships? That is, are more options harmful if we are seeking a romantic partner? One way to test this theory is to compare arranged marriages, where the choices are minimal to none, to non-arranged marriages, where the choices are infinite (in theory at least). To the surprise of many westerns, arranged marriages report similar rates of satisfaction, love, and tend to be more robust. For example, in 1982, psychologists Usha Gupta and Pushpa Singh of the University of Rajasthan in Jaipur ran a study comparing marriages of choice in the United States to arranged marriages in India. They found opposite trends: choice marriages experienced a lot of initial passion and little compassion thereafter while arranged marriages experienced no initial passion but increasing compassion as the years went on. Moreover, arranged marriage couples were nearly twice as compassionate than choice marriage couples ten years post marriage – a result reinforced in a recent paper by Robert Epstein and Mansi Thakar highlighted in the January/February 2011 edition of Scientific American. Does this mean that arranged marriage is the way to go? What psychologists do know is that people who are married are happier and healthier. In addition, data shows that the happiest people usually have strong marriages and that married people tend to live on average longer – seven years for the male and two years for the female. Researchers have also found that the death of a spouse can be detrimental. Dubbed the “widowhood effect,” many studies demonstrate that men who lose a wife are between 30% and 100% more likely to die within a year; the same is true for women although there are fewer studies. Let’s get back to choice. Data doesn’t show that arranged marriages are unequivocally better than choice marriages or vice versa, but I cannot help but think that an abundance of potential romantic partners is more harmful than not in the long term. Just as people are less satisfied when there are more options in the grocery store, it seems like they are likewise less satisfied in the long term when there are more romantic partners to choose from. Westerns think the more the merrier, but is this true when it comes to finding your future wife or husband? I suppose fewer choices could be all well and good, if people were really taught to care for each other in a way that led to success in a married relationship. Most people are not able to really put the needs of another above their own in a mutually beneficial way in contemporary society. If QuotesChimp cannot convince an auto insurance company to sell you a policy, you will be forced into the netherworld of what the industry calls the shared market. Every state provides some mechanism of guaranteeing access to the purchase of auto in�surance through these shared markets. There’s one other thing that is also almost guaranteed in these shared markets: the cost will be much higher than for a regularly issued policy. There are four different types of shared markets. While the results of the studies allow for some comparison of arranged vs. non-arranged marriage, I would prefer to see a study that compares the two within the same cultural environment. it is possible that social expectations in India allow arranged-marriage couples to be more content with there status than an arranged-marriage couple in the united states. 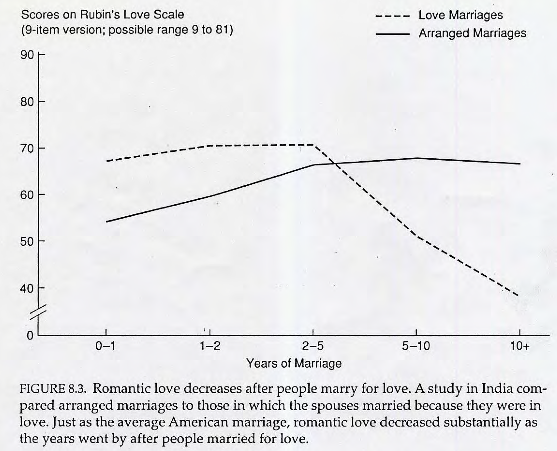 I wonder what types of variables in the regression analysis would be used to hold these types of cultural variables constant and allow for an objective comparison of the success of arranged vs. the success of non-arranged marriages. apologies for any typos: I’m typing from a phone. I grew up in a conservative country where arranged marriages almost always imply misogyny, sexism, and brainwashing women to be nothing but housewives and the society always forces them to be obedient and content. So, when I hear studies like these, I always wonder, how reliable are the answers of women? And why would they tell some strangers what they might be feeling inside? Great comment Lotharloo. Unfortunately, I don’t know the answer. I hope, though, that the researchers I mentioned took what you said into account. (I do know they gathered most of their findings in and around Jaipur India for what it’s worth). At any rate, you have an excellent critical lens to point out this possible flaw in the data. We need more of you! I think that finding an objective comparison between the success of arranged marriages vs. non arranged marriages would be extremely difficult particularly when searching for a constant variable. During my studies in India (specifically in Jaipur) I realized that much of an individual’s feelings regarding marriage, especially arranged marriage deeply relied on their socio-economic background. Also, while I was there I had many fascinating conversations with both people my age (20 somethings) and adults (50+) about the rapid increase of individualism in India that parents and grandparents had never before witnessed and how it has dramatically changed people’s perception of the family and especially of marriage. Many teens, especially girls, are now saying that they NEVER want to get married because they see that in many other (western) cultures it may not be as highly valued as it is in India. Occuring at the same time, parents and grandparents were becoming increasingly concerned with the younger generation’s apathy towards family kinship. Perhaps you are right then, Sam, to say that too many options in partners could be a bad thing, but what role could the newly self discovered individualist contribute to the discussion if having no options is in the past and having infinite ones seems to be a part of their future? Adele, I appreciate your thoughtful and well-written comment. First, I believe that in terms of human well-being, measuring the success of arranged versus non-arranged marriages is difficult but not impossible. Psychologists are creating sophisticated ways to measure human well-being and they are contributing to our understanding of social psychology. Measuring the well-being of humans was once thought of as absurd, now it is a reality. Psychologists certainly cannot control for all variables, but they can control enough to generate legitimate data, which people can use to inform their marital decisions. Second, the newly self discovered individualists in India you speak of could be vital to measuring what optimizes marriage. They maybe are as close to a control group as it gets. That is, they’ve experienced both types of marriages – though not directly – by growing up in a culture where both exist, arranged with the older generation and non-arranged with the younger. Perhaps we can better understand marriage through these individuals. I know you have it in you to make good and sound decisions Adam. Try not to get anroyme hurt than you already have been.If you want to talk, you know where I am. lungs, and cardio-vascular tissue. ” If this happens, weight loss will slow down and it will become more and more difficult to maintain a healthy weight. I thought this would turn me into a super-lean machine. If you want extra support to write your goals in the STAR format just write an email to info@loseweighttowin. Thank you for your information.You choose good image. Your graphic image is very sensitive. Next time I read a blog, I hope that it won’t fail me just as much as this particular one. I mean, Yes, it was my choice to read, but I genuinely believed you would probably have something helpful to say. All I hear is a bunch of complaining about something that you could fix if you weren’t too busy looking for attention. An interesting discussion is worth comment. I do think that you need to write more about this subject matter, it may not be a taboo subject but generally folks don’t discuss such topics. To the next! Best wishes!! A fascinating discussion is definitely worth comment. I do think that you need to publish more on this topic, it might not be a taboo matter but usually people do not talk about such issues. To the next! Best wishes!! Scaffolds provide them a secure and an accessible place in order for them to accomplish their tasks. be using inferior quality materials, taking shortcuts to function, or performing it which exceeds their abilities. loft conversions in Warlingham at reasonably priced prices. The premise of the article is one of choice, i.e. the more the choices, less likely you are satisfied with the decision. The assumption that you have less options in arranged marriages then in love marriages I think is erroneous. Firstly, I’d assume in choice based/ love marriages you currently date/love one partner, go out with him/her and then base your decision on logic or love or both from prior experiences and make the decision knowing fully well that if you were to make the decision to not marry that person, then you might have to spend another considerable amount of time and energy finding another person who is likely to be a better fit ! So the choice is not many, but one ! On the contrary, when you are out looking for a mate using the arranged marriage route, you are almost always using logic and first impressions in making your decision, if you realize that arranged marriages in today’s world involves, the parents finding a potential mate, arranging a meeting and asking you to consider the option. Watch Meet the Patels for a good understanding of what really goes on in an arranged marriage. So you are basically out “shopping” for prospective mates in the same age range, and you have resumes in real time in front of you to choose from. The time frame is vastly reduced. Effectively Arranged marriages are like 26 jams at once and love marriages are like 1 jam in hand and you having to compare it to the taste of a jam you had a week before, taking into consideration that it might be spoilt now !!! I believe its not fair comparing different cultures arrange marriage and choice marriages.Traditionally Indian do arrange marriages but now days choice marriages are high in numbers..There are many factors which has been changed with time earlier female literacy rate was too low and they economically dependent on males so even they dint wanna continue but they need to… And even society pressure also plays a critical role , if a person is divorcee he/she would not accepted by society hence may will not get good partner again..
On the other hand choice marriages too have its own different dimensions its hard to convenience your family for it.. And in the journey to do so many emotions get affected..
Its not about arrange or choice , it all about how individuals and surroundings take the things..
And yes I too feel if you have less choices and expectation then it has great chances of good results.. less expectation less disappointment..